大家好！ (Hi, everyone!) This is Mandarin Weekly #89, w ith links and information for those of us learning Chinese. All back issues of Mandarin Weekly are available at the Web site, http://MandarinWeekly.com. This week’s links include a level indicator, saying either “beginner” or “intermediate.” Feedback on the accuracy of these labels will be greatly appreciated; just reply to this e-mail to indicate what you thought. Also, we’re always looking for advanced resources to fill out our list; if you know of blogs or sites we should be checking, just let us know, and we’ll try to include them. Have you filled our our survey? Beginner How do you pronounce the symbol @ in Chinese? Intermediate How does the 被 character let us express passive voice? Beginner The word 煎 (jiān) means to fry in a pan, but what is the equivalent cooking term in English? Intermediate In modern Chinese, the word 辣 means “spicy”。 But spicy food in China is the result of introducing chili peppers — which are from after the time of Columbus. Was this character used before then, and if so, how? 大家好！ (Hi, everyone!) This is Mandarin Weekly #88, with links and information for those of us learning Chinese. 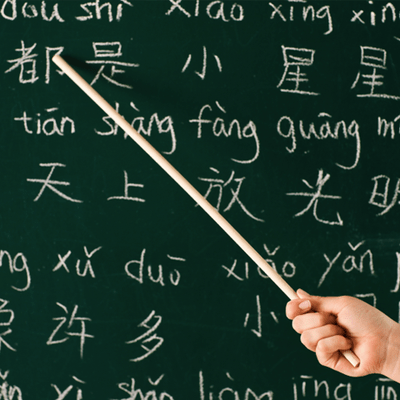 Learning Chinese means learning lots of new words, and then practicing them. Is it possible that you’re trying to learn too many words at once? How can and should you study, to ensure that you build your vocabulary not only quickly, but with optimal retention? Last week, China marked the mid-autumn festival. What is this holiday about? Is it only mooncakes? Chengyu, or four-character expressions, are an important part of gaining Chinese fluency. This new Web site (Hanping Chengyu) is from HanpingChinese.com, an Android app for translation and improving your Chinese. Visit this Twitter feed every day to learn new expressions! Going to China very soon? Need to learn Chinese super-fast? What are the best resources and methods to learn some of the language? If you are at HSK5, how quickly and easily can you get to HSK6? Both 才(cái) and 只 (zhǐ) mean “only,” but they have different uses. How can we use each of them? Someone is walking around Taiwan — as in, walking the entire perimeter of the island. What verb should he use for “walk”? What does the phrase 一不留神 mean, if 留神 () means to be “careful”?